Here now and this is a very cheap unlimited text promo offer by Talk N Text prepaid, for just only 5 pesos you can use and enjoy text all day to Smart and TNT subscribers. But, the UNLI5 package is only available to Champion SIM users, which is the pros of this promo. If you are using a regular Talk N text SIM, you cannot avail vthis promo. With your 5 PHP, you can use this for 12 hours of texting time. 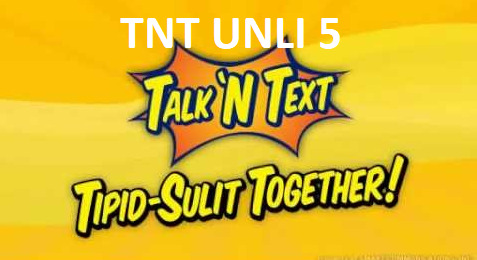 The best time to avail the TNT UNLI5 is during your free time or leisure time, after class.break and during the evening or night to make use of the promo validity. Make certain you get hold of the affirmation from talk n text before you begin using this provide. here’s a sample notification as a pass signal that your UNLI5 is prepared to apply and use.